A crash between an Amtrak passenger train and a CSX freight train in South Carolina killed at least two people and injured at least 70 on Sunday, the South Carolina Emergency Management Division (SCEMD) reported. 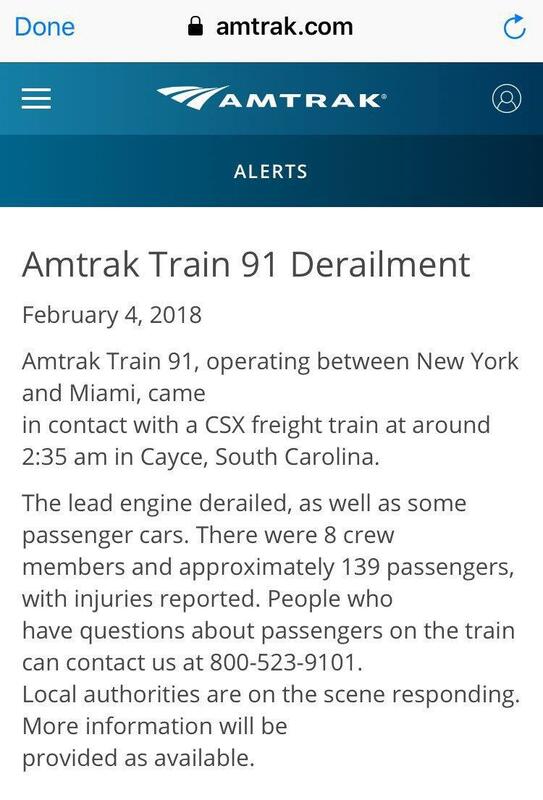 The Amtrak train was heading from New York to Miami with 139 passengers and 8 crew members on board when the train collided with a freight train and derailed around 2:45 a.m. near Cayce, authorities said. The passenger train is part of Amtrak’s ‘Silver Service,’ an overnight line that connects New York and Miami with numerous stops along the way. The National Transportation Safety Board is investigating the crash. “The injuries range from cuts and bruises to severe broken bones. All the injured have been transported to local hospitals,” said SCEMD public information officer Derrec Becker. Addressing the media shortly before 7am local time, a spokesperson for South Carolina Emergency Management Division confirmed that two people had died and 70 people had been taken to various local hospitals with injuries. He added that a hazardous materials team had been called in, to deal with a significant fuel spill from the crash but said that it doesn’t represent a threat to the public. 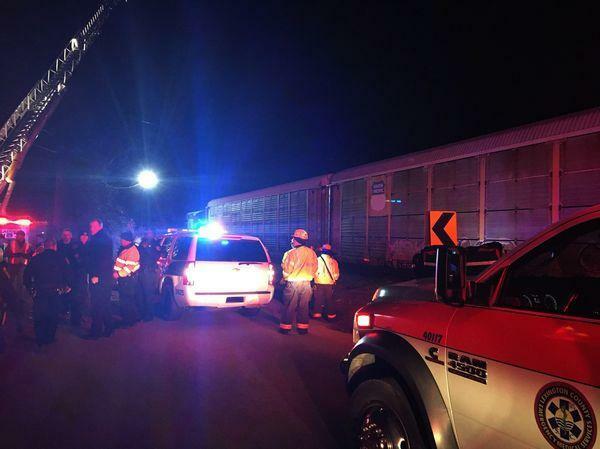 The crash happened near a stretch of tracks by a rail yard about 10 miles (16 kilometers) south of Columbia, where several track spurs split off for freight cars to be unloaded. Authorities said they haven't determined if both trains were moving or if the Amtrak train was diverted on to a side track. The National Transportation Safety Board will investigate. TV footage from the crash scene showed the aftermath of the collision, with the Amtrak engine on its side and its front crumpled. The people who weren't hurt were taken in patrol cars to a shelter, Lexington County Sheriff's spokesman Adam Myrick said. "We know they are shaken up quite a bit. We know this is like nothing else they have ever been through. So we wanted to get them out of the cold, get them out of the weather - get them to a warm place," Myrick said. Amtrak set up a passenger information line at 1-800-523-9101. This is the second Amtrak incident within a week, after a train carrying Republican members of the House of Representatives to a policy retreat crashed in Virginia on Wednesday. One person died in that crash, while in December three people were killed and dozens more injured when another train derailed near DuPont, Washington.